Philippine Long Distance Telephone Co. (PLDT) aims to transform the face, feel and future of landline business with a new offering that bundles a fixed line service with an Android-powered touch-screen tablet and a high speed myDSL service all in a single service plan called PLDT TelPad. 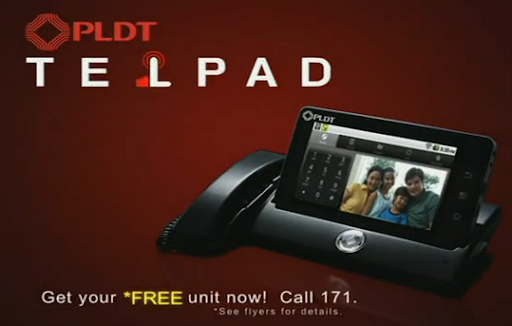 The PLDT TelPad kit includes a special handset that also serves as a charging dock for a 7-inch screen tablet computer. Subscribers can use the handset or the portable tablet computer in making and receiving phone calls and accessing over a hundred thousand online applications; All on of the unlimited broadband access of the bundled service. 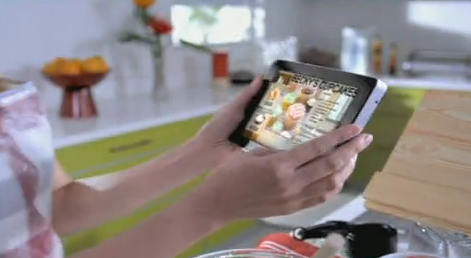 The PLDT TelPad tablet is powered by a 1Ghz Cortex A8 processor that enables the device to deliver snappy performance. It runs on Android’s latest operating system version 2.2, which offers genuine multi-tasking capabilities. Users of TelPad can download a wide range of applications from the Android Market, Google’s online store which offers over 125,000 applications like business apps, e-books and magazines and digital games like the highly popular Angry Birds. Storage won’t be a problem as the unit’s 2GB internal capacity can be augmented by an SD card and USB slot for extended storage. The TelPad also carries a 2-megapixel front camera for still shots and videoconference calls. The PLDT TelPad service starts at Plan 1849 with 1-megabit-per-second (Mbps) broadband connection and landline service. The PLDT TelPad unit comes bundled with the plan. Note that existing PLDT myDSL customers only need to add as low as P500/month to upgrade to the TelPad plans. The other PLDT TelPad plans are Plan 2099 at 1.5 Mbps (P2,099 per month), Plan 3095 at 2.5 Mbps, and Plan 4100 at 3.5 Mbps. All these are inclusive of the landline phone and myDSL broadband service. “We’ve packed the PLDT TelPad with features that will dramatically change how we use landlines,” said PLDT Senior Vice President Eric R. Alberto. “We expect TelPad will be very well received and will create a new market of adopters to this new and exciting service. We are bringing back relevance to and expanding the value proposition of the landline in the home," he added. “We have reinvented the landline to take on the emerging digital lifestyle and the growing consumer appetite for rich multi-media content”, said Dan Ibarra PLDT Group Head of Retail Business. “The intuitive design allows subscribers to access information, entertainment and lifestyle apps easily with simple touch of the screen. Aside from Android based applications such as e-readers, news widgets and games, there are other apps being developed for a more enjoyable PLDT TelPad experience,” Ibarra added. To apply for PLDT TelPad, just dial 171 on your PLDT landline and talk to a customer sales representative.